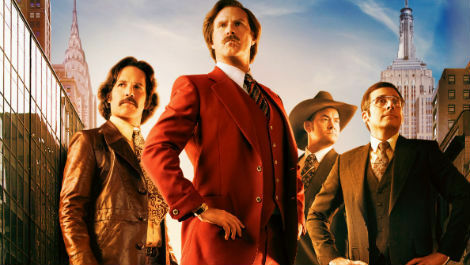 Ron Burgundy and his crew return in Anchorman 2 with a whammy! But hide yo kids and hide yo wives because nothing is sacred in this sequel. There are few sequels that equal or better their original counterparts*, but Anchorman 2 can easily be added to the great sequel list. It delivers on all levels - it is more humorous, more inappropriate, and believe it or not, more clever as well, taking a stab at popular American news networks and the news they deliver. The plot is all over the place, but in a good way. You're not sure where it's going next, but somehow it manages to work well with some clever writing to form a coherent story. Nothing is sacred. Absolutely nothing. Racial jokes? Tick. Sexist jokes? Tick. Racist AND sexist jokes simultaneously? Tick. It definitely pushes boundaries and was a little awkward at times. But saying that, get ready to laugh out loud, especially if you've seen the original. There are many references the first movie, so fans be at the ready and make sure you've watched it sometime recently. Frick Brick is hilarious. Verdict: Laugh out loud funny. Go see it. Way, way, way better than the The Last Air Bender. Not as epic as The Empire Strikes Back. Mum friendly? Probably not, unless she's into Burgundy's amazing hair, and she approves of racist jokes and condom discussions. The list so far includes The Empire Strikes Back, Terminator 2, Toy Story 3. Can you think of any others?